CONROE, Texas (AP) – Authorities say an MMA fighter suspected of killing two people found buried in Oklahoma, including an ex-girlfriend, has been captured after escaping from a prisoner transport van in Texas. 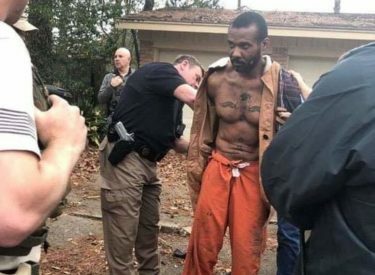 Montgomery County sheriff’s Lt. Scott Spencer tweeted Sunday evening that Cedric Marks was taken into custody after a nine-hour manhunt. Police said earlier that Marks escaped Sunday morning from the van during a stop at a McDonald’s in Conroe, about 40 miles north of Houston.